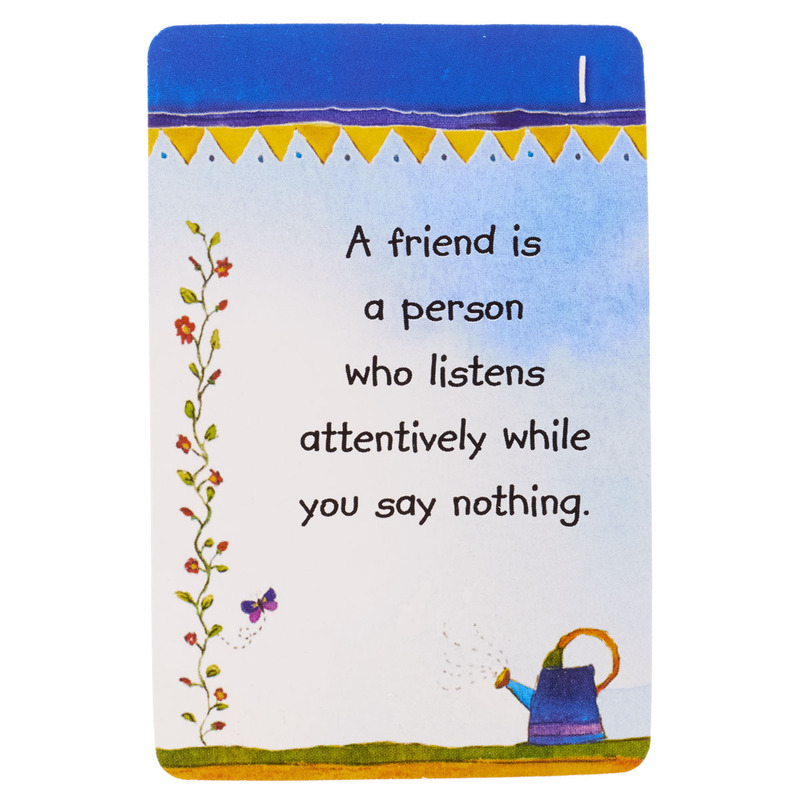 Made for sharing, these are 51 double sided, playing card sized, messages celebrating the beauty of friendship, all packaged in a box. 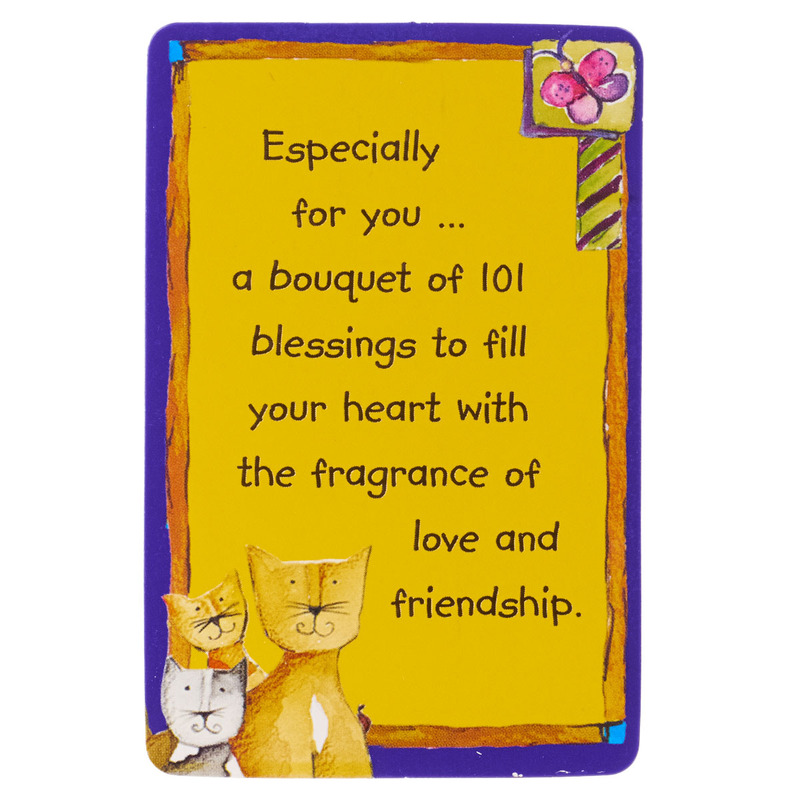 Give all at once to draw from for inspiration, or keep a box to tuck a message into a lunch bag, pocket or purse, or to pass around to friends in class or small group. 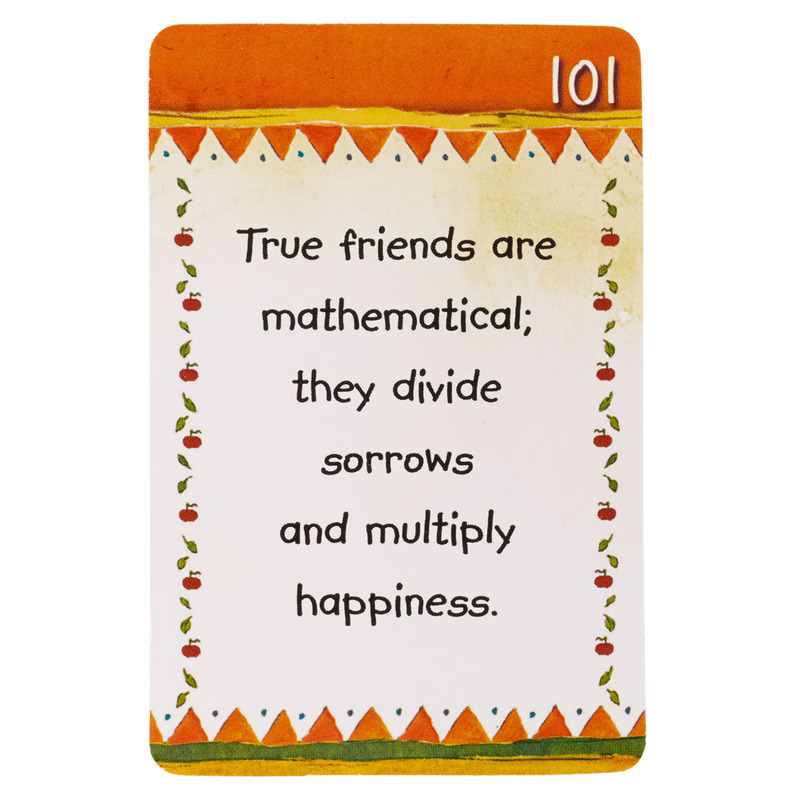 Your small gift will be received with smiles and thanksgiving. 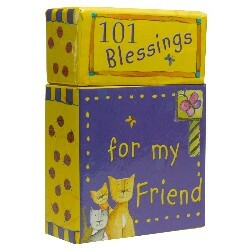 101 Blessings for My Friend Box of Blessings by Christian Art Gift was published by Christian Art Gifts in January 2010 and is our 4210th best seller. 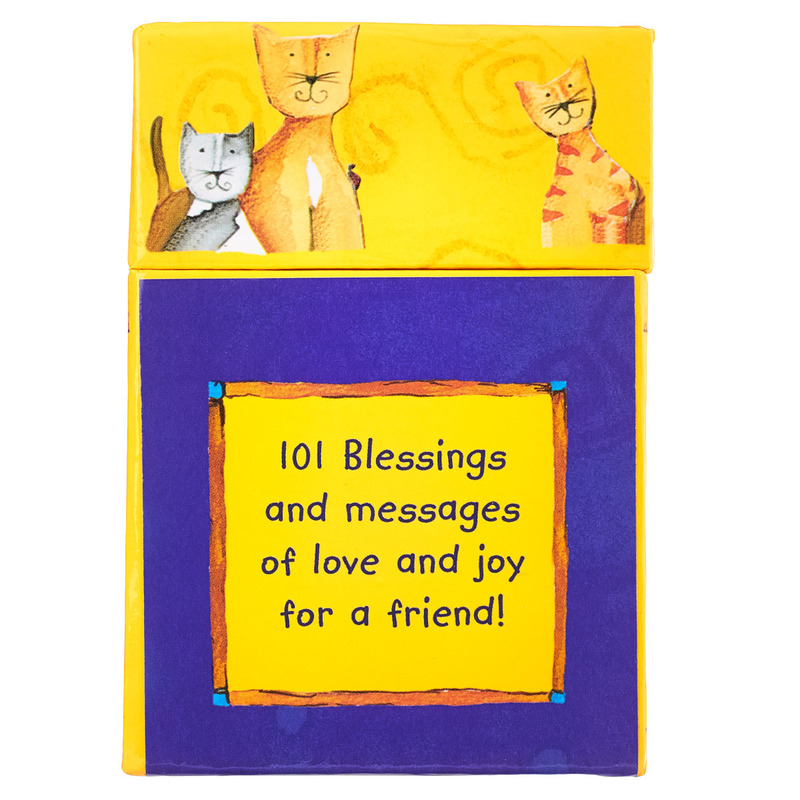 The ISBN for 101 Blessings for My Friend Box of Blessings is 6006937062849. 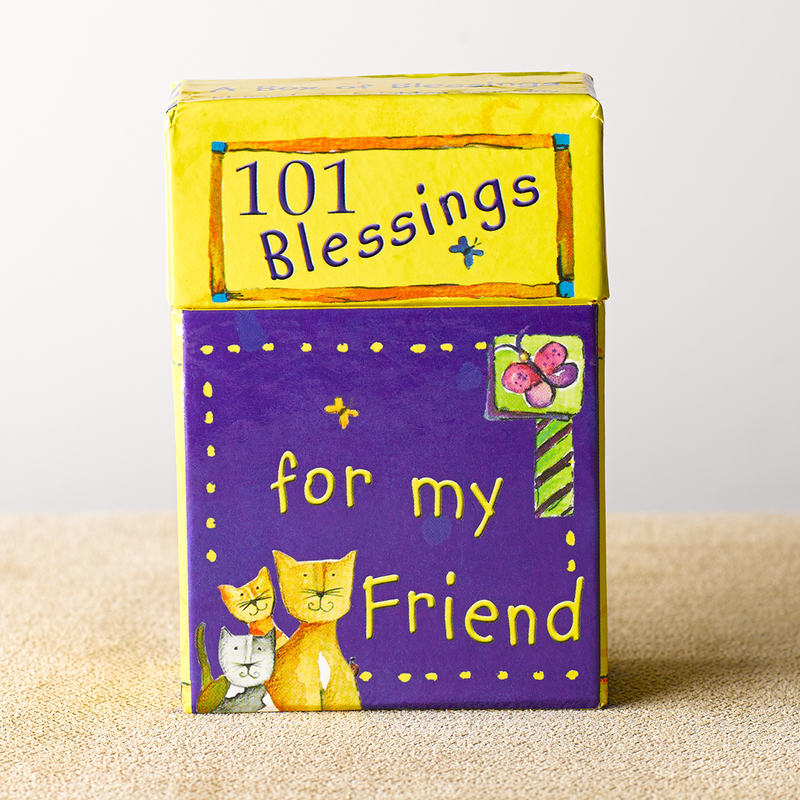 Be the first to review 101 Blessings for My Friend Box of Blessings! Got a question? No problem! 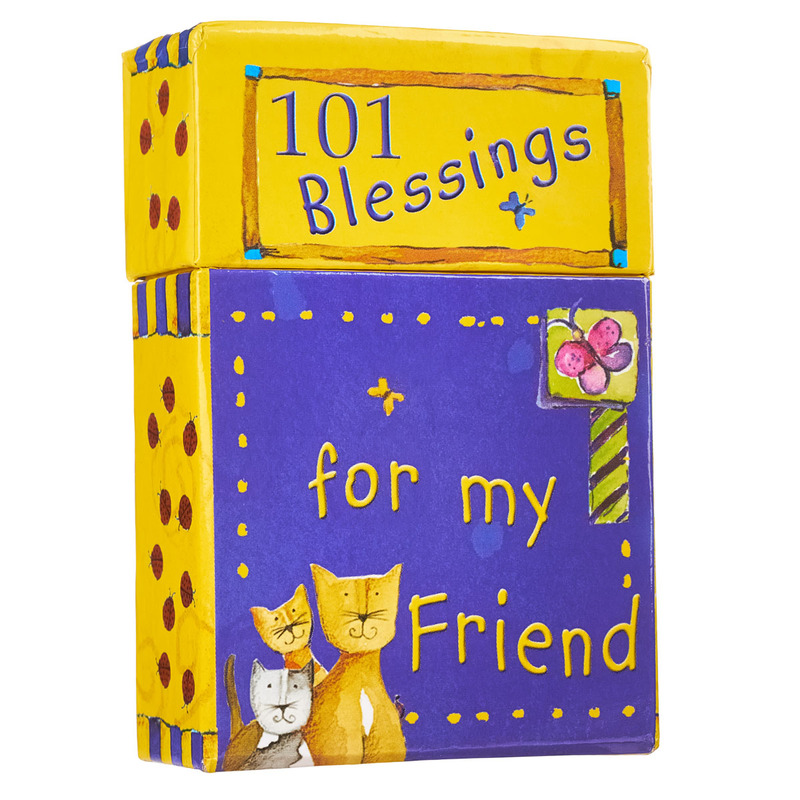 Just click here to ask us about 101 Blessings for My Friend Box of Blessings.